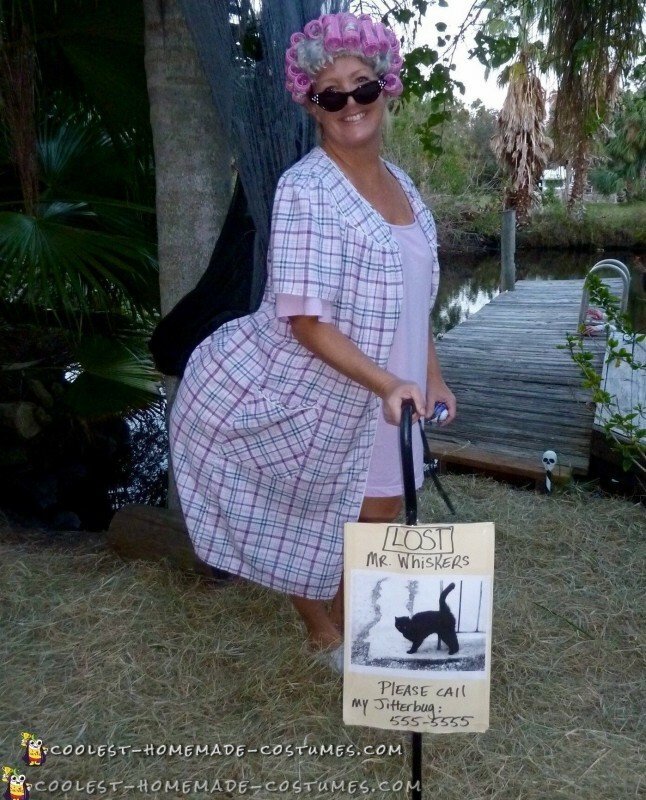 Here’s my Lost Kitty Costume – I love a good costume that you can buy from Goodwill! I purchased a nightgown, robe and cane from Goodwill. To give my backside some shape, I took some pantyhose and stuffed them. I tied the legs off and used them to tie around my waist and made myself a very big rump! I found a stuffed cat and sewed the kitty to the rump. To complete my costume, I needed accessories. 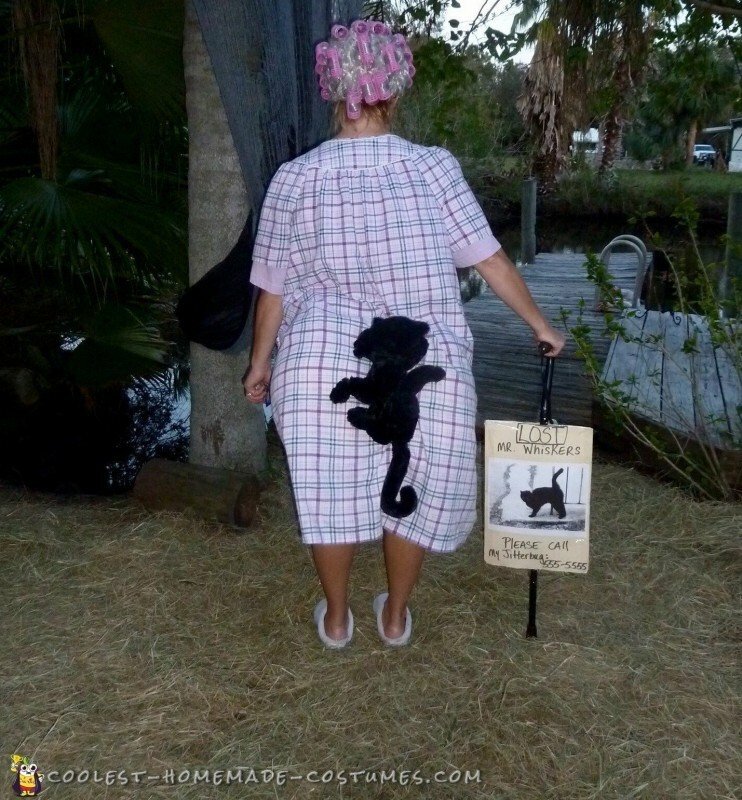 I added slippers, a wig (bought from Walmart), and made myself a “Lost kitty sign” which I attached to both sides of my cane. I was happy to give people a good laugh as I passed them by. The whole costume took less then a hour, cost about $25 and was the first place winner at a Boo Bash!